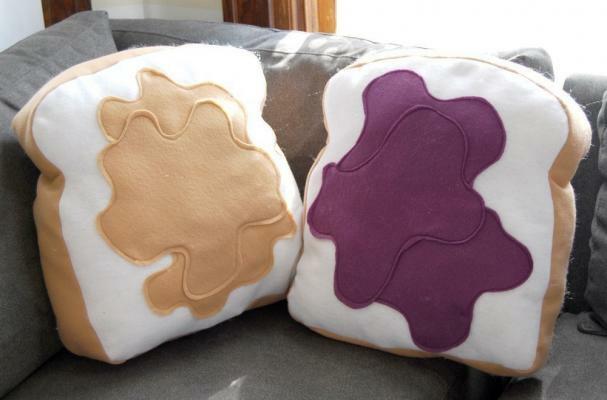 These peanut butter and jelly pillows comprise the Made for Each Other pillow set by Beth Cummings of Diffraction Fiber. Each pillow looks like a slice of white bread smeared with either creamy peanut butter or grape jelly. The pillows are made from eco-felt, which is made of recycled plastic bottles. For another fun food pillow design, check out these pancake floor pillows.